There is a grand vartiety of ethnic foods that have become so international that people her only think they are eating the “real thing”. For example real mexican food may include some fried “gusanos de Maguey” tacos, which are the worms found in the bottom of a bottle of Mezcal, Ant eggs with cilantro, fried grasshoppers in the state of Oaxaca, tacos de nana (pig’s womb), etc….. My aunt lived in Japan for about six months and she said that sushi as we know it is a completely different thing over there, as well as so many other countries may have their “international” tourist-friendly menu. 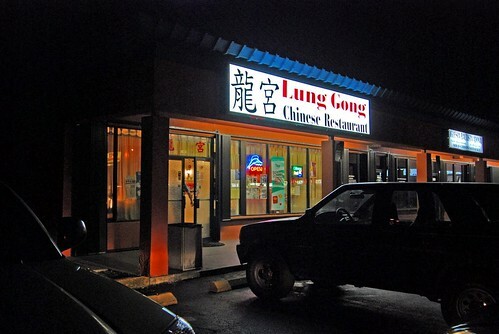 Real ethnic restaurants are so hard to come by, but this is a great find since real chinese food is delicious. What a wonderful place. Authentic is rare and worth finding. Ross is in China devouring kitties and puppies like the rest of the country.